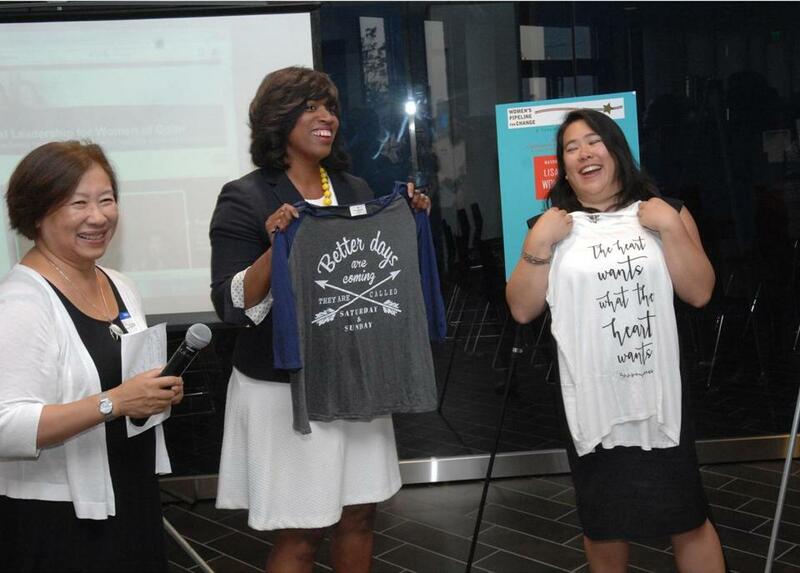 From left: Suzanne Lee, Boston City Councilor Ayanna Pressley, and Lisa Wong. Four-term Fitchburg Mayor Lisa Wong — the first minority mayor in Fitchburg and the first female Asian-American mayor in Massachusetts — was feted in Roxbury Wednesday by the Women’s Pipeline for Change. (Wong, who was first elected when she was 28, is not running for reelection.) Celebrants included longtime educator Suzanne Lee, UMass dean Ira Jackson, Sasaki Associates’ Bob Culver, Joyce Ferriabough Bolling, MassVote’s Cheryl Crawford, and Wong’s husband, Holyoke Councilor Anthony Soto, who’s running to become Holyoke’s first Hispanic mayor.